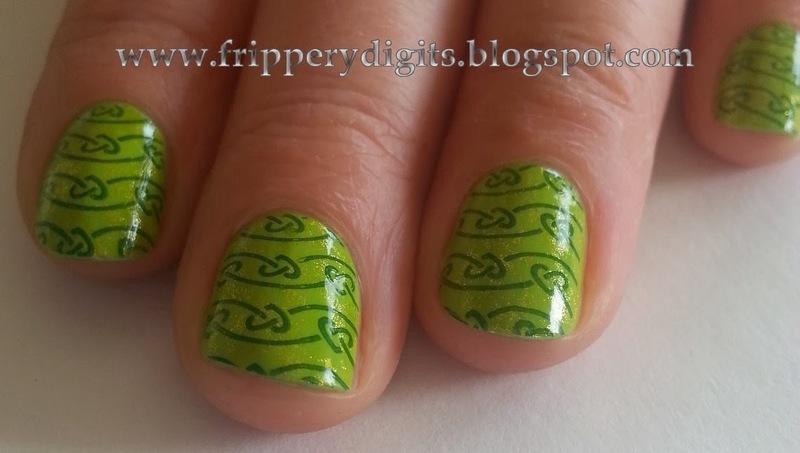 Frippery Digits: Super Bright St.Patty's Day Mani! 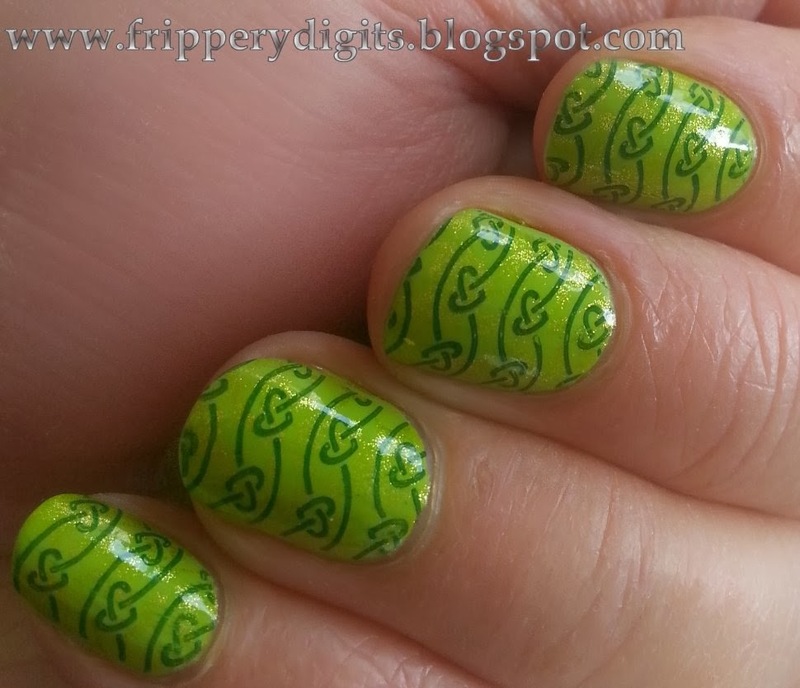 I thought I would try something crazy bright for a St Patty's themed mani! Lately I can't get enough chartreuse and lime. If you click on these you might get a better hint of the shimmer. You lose the splatter pattern of the image, but man...I think it is one of my favorite images from Bundle Monster's 2013 CYO set. It's so versatile and fun! 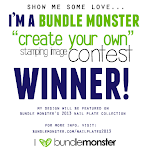 I wish I'd thought of it when I was designing my entries! I'm so glad someone did! 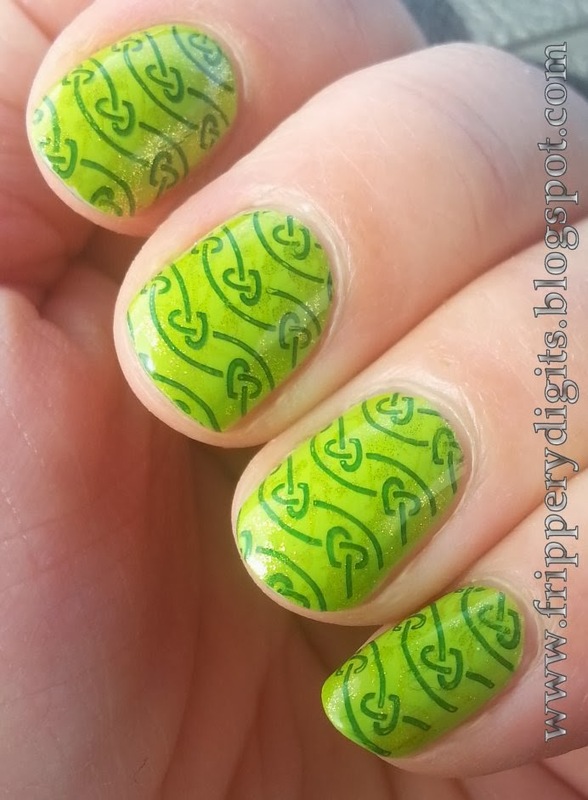 What do you think would look great for St Patty's?